SkyCable on GMA's second NTC complaint: "Once again, we take strong exception to GMA’s claim that the signal interruption is confined only to their network since there is no basis for this insinuation." SkyCable denied circulating reports about persistent signal disruptions on GMA Network’s cable channel particularly during Eat Bulaga’s Kalyeserye segment. 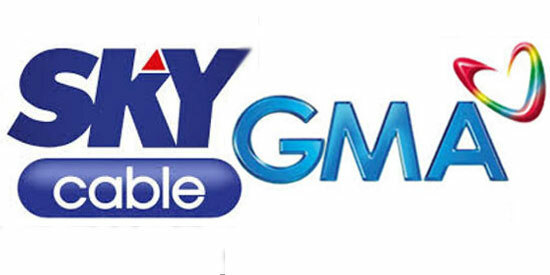 Contrary to GMA’s second complaint to the National Telecommunications Commission (NTC), SKY Cable Corporation maintained that there has been no “network problem” that could have resulted in the loss of GMA’s cable signal (SkyCable Channel 12) during certain days this month. “In reference to GMA Network’s new complaint on latest reports of signal disruption during the 'Kalye-Serye' segment of Eat Bulaga, SKY Cable Corporation reiterates that it did not experience any network problem that could have resulted in the loss of GMA 7’s signal only, similar to earlier reports covering July to August 2015 period. “If there were incidents of signal loss affecting certain portions of the network in the areas and period referred to, these affected other channels as well, not just GMA 7,” SkyCable stressed in an official statement yesterday, September 22. GMA cited in its second NTC complaint several letters from SkyCable subscribers from Pasig, Makati and Bulacan, who reportedly experienced GMA signal loss early this September. The Kapuso network also submitted a DVD copy of a SkyCable subscriber’s recorded video, showing GMA’s signal loss during Eat Bulaga!’s timeslot, while its rival show supposedly aired without any technical glitch. SkyCable, however, was quick to refute speculations that the supposed signal disruptions were confined to GMA’s cable signal to reduce viewership of Eat Bulaga, which has been garnering record-breaking TV ratings for the past few months. The cable service provider further stated: “Once again, we take strong exception to GMA’s claim that the signal interruption is confined only to their network since there is no basis for this insinuation. SkyCable also stressed that it will continue to cooperate with NTC’s investigation regarding GMA’s complaint about signal disruptions on the Kapuso network’s cable signal. “We have already mentioned this in our September 18, 2015 letter to the National Telecommunications Commission (NTC) and GMA 7 in response to the latter’s previous complaint filed last August 25, 2015.